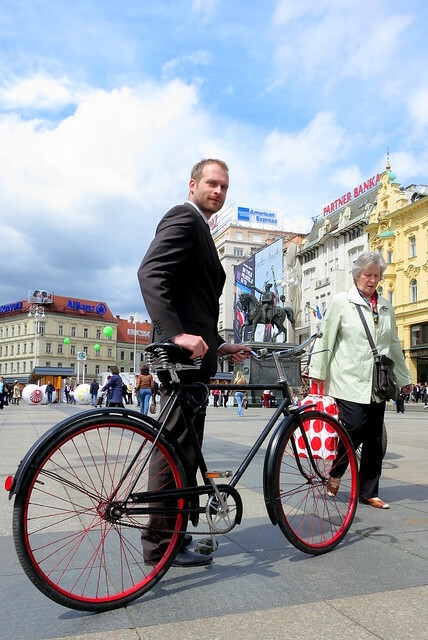 Tomislav works at the Danish Embassy and he deftly and elegantly led me around the city when I was there for to give my Bicycle Culture by Design talk and open my Monumental Motion photo exhibition. 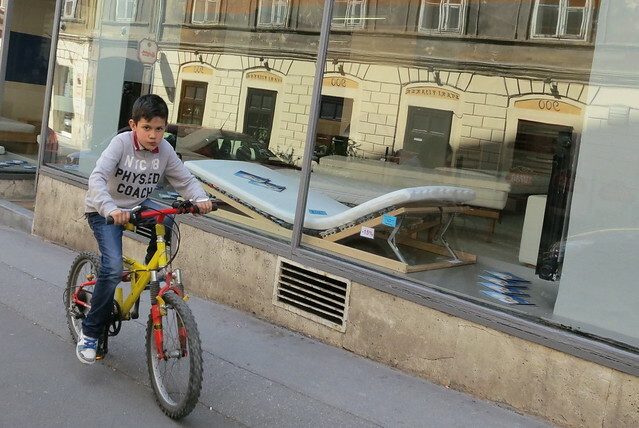 The bike belonged to his grandfather and was so cool it was painful. Suits the man, though, doesn't it? 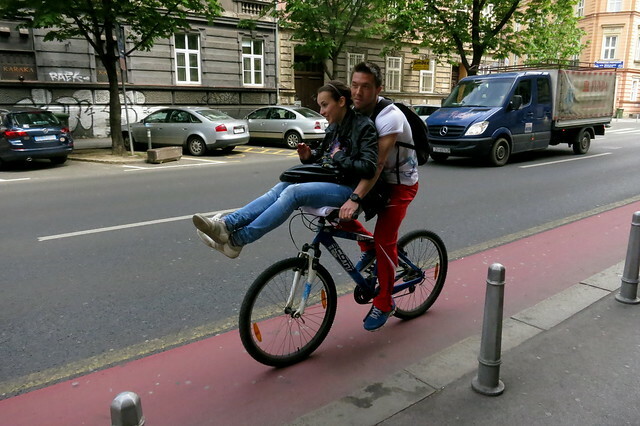 A bicycle made for two. 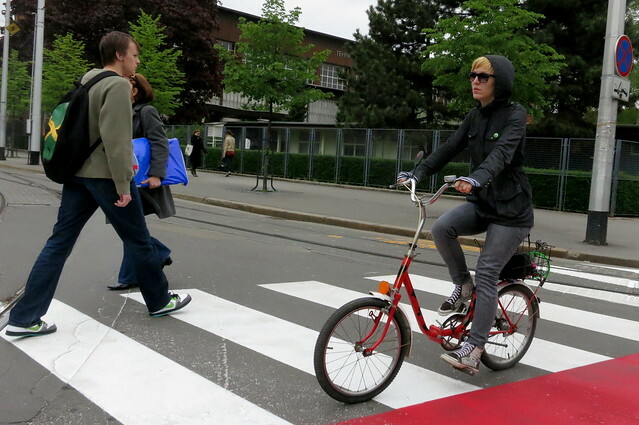 A young Zagreb-ian ... uh... Zagrebite... um... Zagreber... uh... citizen of Zagreb out for a spin. Unfortunately, I found myself in a car at one point. 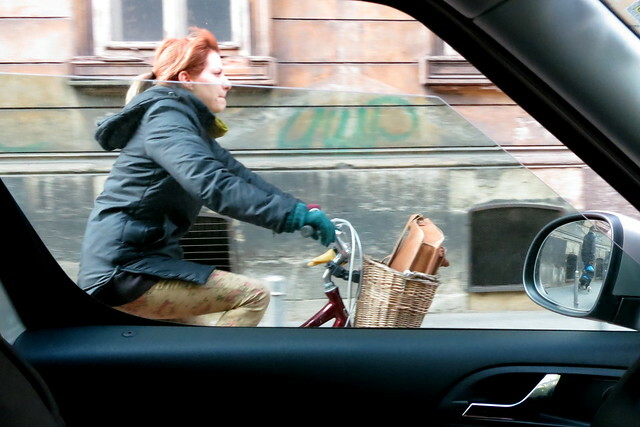 Fortunately, I only spend about 15 hours a year in automobiles. 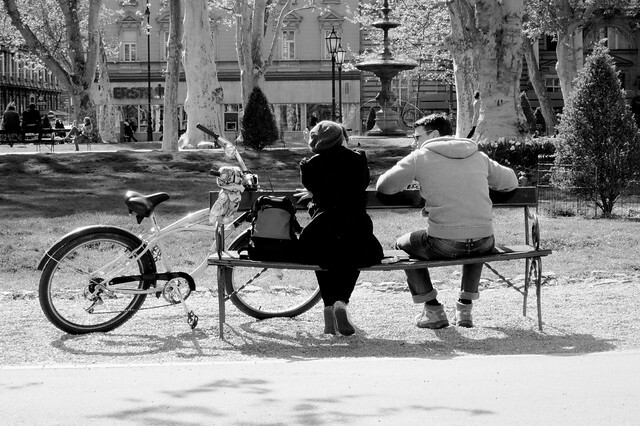 It's scientifically proven... bicycles make you want to kiss more.